RE60, powered by a 200 cc rear mounted petrol engine could also be sold in overseas markets where Bajaj's three wheelers are exported. The company showcased a concept small car in 2008, but decided not to go ahead with the project. RE60 will be launched later this year. "The company had spent nearly four years in developing the product that has a top speed of 70 kmph with a highest mileage of 35kmpl," Bajaj Auto Ltd (BAL) Managing Director Rajiv Bajaj told reporters here in New Delhi. “This vehicle has been designed for intra-city passenger transport keeping in mind intra-city duty cycles and safety requirements,” he added. 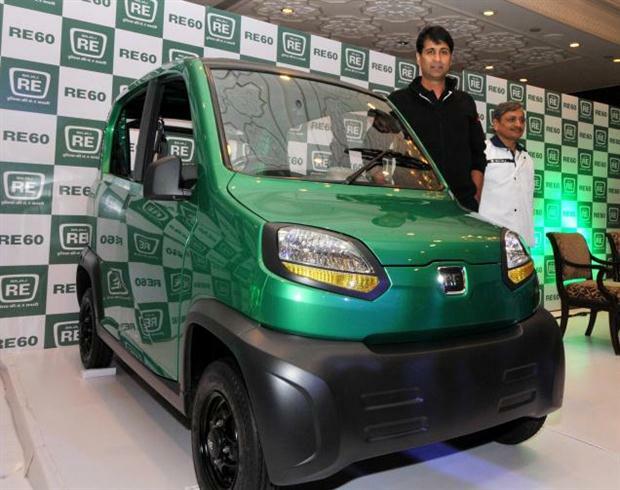 0 Response to "Bajaj unveils its small car RE60 with a mileage of 35kmpl"